Mance Broome was born in Flint, Michigan and grew up in Beecher and Flint where he attended Messer Elementary, Scott Elementary, Whittier Junior High and went on to play football at Flint Central High School where he graduated in 1981. At Flint Central legendary coach Joe Eufinger referred to Mance as one of the best lineman he coached on both sides of the ball. Mance was a hardnosed lineman who was a two way starter and in his junior season he had 19 solo tackles, 22 assisted tackles and four quarterback sacks. In his senior season Mance was voted team co-captain and had a total of 53 solo tackles with 22 assists and four QB sacks. Mance earned All-City and All-Saginaw Valley 1st team honors as well as 2nd team All-State honors. Mance’s outstanding contributions earned him Most Valuable Player and team co-captain as voted by his teammates. Mance was featured in the American High School Athletic Magazine for his many achievements and played in the 1st Annual Michigan High School East-West All Star Football Game at Spartan Stadium. 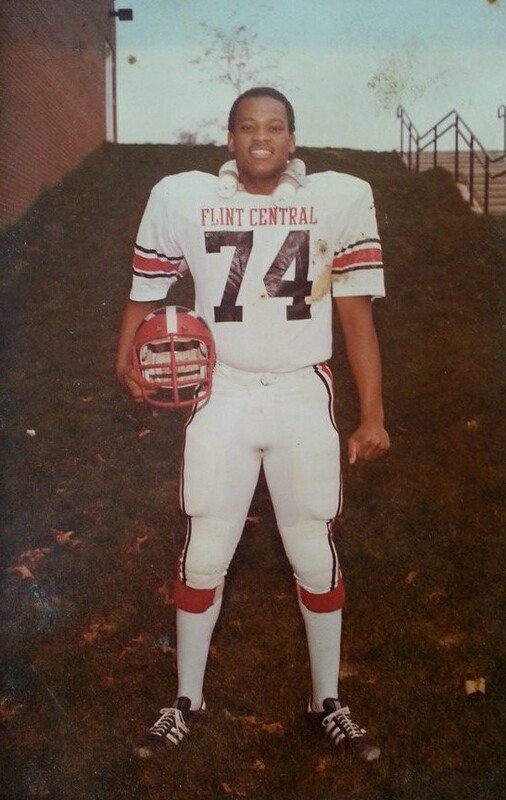 Mance also earned varsity letters in Track & Field and Wrestling while at Flint Central. Mance’s football career lead him to Central Michigan University where he played Offensive Tackle. After college Mance returned home and became an assistant football coach at Flint Central under coach Joe Eufinger from 1984-1989. In 1984 Flint Central won the regional with a record of 9-2 and in 1985 had a record of 7-2 and won the city championship. The Flint Central Indians won the city championship again in 1989 which was the last year Mance coached at Flint Central. Mance Broome you are the true definition of being “Flint Strong”! You have made Flint proud, welcome to the Greater Flint African-American Sports Hall of Fame!